Robots and their impact on the economy is on the forefront of everyone’s mind. Will robots increase productivity and jobs, improve society, and will wealth be shared? To address this question, we’ll be talking to three European Experts about the robot economy. In today’s interview, we sat down with Alan Winfield, Professor at the Bristol Robotics Laboratory, and expert in robot regulation and ethics. 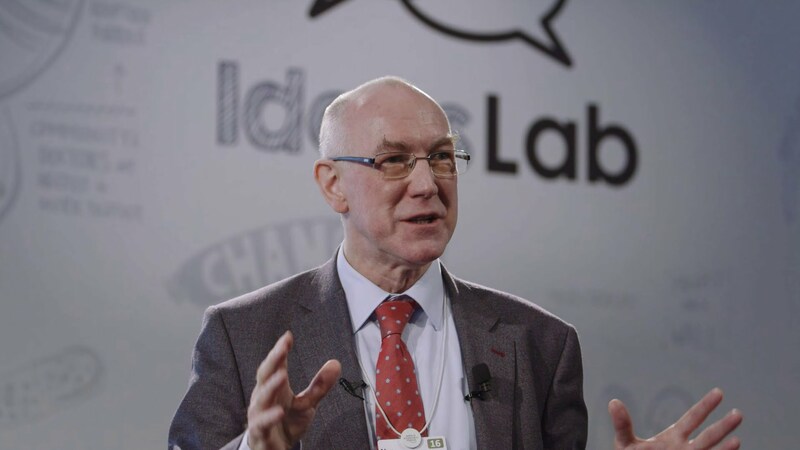 He is often invited to discuss the role of robots in society, including at the World Economic Forum, the Royal Society, and the Royal Academy of Engineering. How do you think robots will impact the economy? Positively for sure. But the debate around robots and jobs is too polarized. People seem to pick sides, either believing "robots are going to take all our jobs”, or “it’s all going to be fine - far more new jobs will be created than old ones lost”. My view is that there is no single answer. The extent to which robots replace jobs depends on the specific robot and the job. You need to unpick the context on a case-by-case basis. It’s quite a nuanced question. As a result, it’s very hard to figure out how this will average out in terms of net number of jobs gained or lost. Do you have concrete examples of where robots might impact the job market? My bigger worry is AI, rather than physical robots. Knowledge workers (lawyers, call centre workers, translators, data analysts, etc) are more at risk from AI than physical workers are from robots. A robot is a much more difficult technology to mature and deploy. And in almost every situation where we think robots might be useful, we find that what we really need are collaborative robots that work alongside humans. That’s because most physical jobs that we do cannot be fully automated. The jobs that can be fully automated, for example assembly line manufacturing, have been already. We should also be thinking about which areas are right for automation. Warehouses and logistics are one area where robots are already making big inroads. We’re seeing examples with Kiva and Amazon, but there is still a long way to go. Of course these are often low-wage jobs with zero hours contracts, and are physically demanding. I can also see robotics having a huge impact in the area of precision-agriculture, crop picking and harvesting. At the same time, we do not want people to be left out of work. How can we help people through the transition should they lose their job? I think there may be a case for an automation, or redeployment tax. Companies who automate and hence lay off large numbers of low-paid workers have a duty to those workers. If companies don’t voluntarily - and generously - help those individuals through redeployment or training, then the government should step in. The last resort could be a special tax. There has been a lot of discussion about driverless cars and their impact on the economy, what do you think? It is going to take a lot of time before we see driverless cars and trucks on the roads, the technology is not ready. It comes back to this essential problem of whether the car requires human assistance or is fully autonomous. The recent fatal accident with a Tesla car tragically showed that it’s a very bad idea to require a human in the loop. If you have nothing to do then it’s very difficult to maintain full attention on the road, so the idea that the driver can immediately snap back and resume control is crazy; this is an unsolved problem. The Tesla accident also illustrated that robot perception is not good enough, there are lots of situations on streets and highways where the robot will be blind to what’s going on because of weaknesses in sensing and cognition. What positive impact will robots have on the economy? In the near term, robots will create opportunities for new types of jobs. The lesson of the last 20 years of the digital society is that it's very hard to anticipate what these jobs will be. If we had sat down and had this conversation about the Internet in 1996, I doubt we would have predicted 10% of the IT related jobs that exist today. The point is that new technology generates new ways of being creative. We will obviously need more people to maintain robots, but there will also be a new range of businesses and entrepreneurial activities. We’re already seeing this in our incubator. Think about Open Bionics who 3D print prosthethics. Who would have thought robotics could be used in this way! As the technology improves, there is a wonderful scope for wearable robotics. And it’s not just people who’ve lost limbs, wearables could benefit the elderly, and disabled too. I really hope wheelchairs will be a thing of the past. In the long term, it’s important that wealth creation brought about through robotics is shared by all. A Universal Basic Income is the only logical solution. Ultimately, and I’m talking a hundred or so years into the future, wouldn’t it be great to live in a post scarcity society where essentially all of the work that most humans don’t want to do is done by robots. We should look forward to a future where there are no demeaning, physically or mentally debilitating jobs. This would leave time to do sports, arts, write books, do science. My “robotopia” is a kind of Star Trek society where work is essentially a voluntary activity. Robotics could enable that, but only if wealth creation is shared with all in society. We desperately need to ensure that the wealth is not captured exclusively by the companies who own the robots, and the 0.1% who own those companies. If we fail to do this, we risk increasing poverty and inequality. What's the point of robots making things if people can’t afford to buy them? There is a lot of misinformation about the robot economy, how can we improve the public discourse? We need to make the point that there is a difference between AI (the software kind) and physical robots. Both are often confused in the public discourse. Furthermore, it’s all about nuance. We’re not talking about robots replacing jobs, but about robots performing tasks. A lot of jobs have components that a robot can’t do, the classical example is the elder care worker. If you ask people, “would you like to see robots in care homes?”, they tend to say no. But if you ask a different question, for example if they would like a robot to support someone with personal hygiene, then you get a different answer. People think it would be wonderful as it restores dignity. In my mind, the benefit of robots in a care home is that they free up human workers to provide the human touch, spend time in a conversation, for example. When I talk to care workers, they love the human contact and hate the routine tasks of managing people’s physical needs, which take time away from sitting down and having a chat. It’s a wonderful example where the right kind of division of labour can be actually very positive, both for the service users, and care givers. Who should decide what applications of robotics are beneficial for the economy? The whole of society needs to have a say in this - there needs to be a conversation. This is already happenig through the Eurobarometer survey, and the many public engagement events around Europe. In addition, I think there needs to be some kind of body whose job it is to worry about this. It could be a Royal Commission, or an EU body, which seeks advice from society at large to build an understanding of how ordinary people respond to these questions - when presented with the nuanced story, not the black and white one presented by the media. Companies have a stake in this. At the end of the day, what they do needs to be accepted by society at large and should be reflected in standards and regulation. In fact a new set of ethical guidelines were recently published by the British Standards Institute: "BS8611: Robots and robotic devices. Guide to the ethical design and application of robots and robotic systems". If a company wants to be successful, they should aim to get the “stamp” saying that their robot conforms with the relevant standards. Regulation is a shorthand way for government to reassure us. Public trust in robots will come about through both regulation and public engagement. Why do we trust commercial airliners? It’s a highly regulated industry with very tough standards, and robust protocols for investigating accidents. The lessons from commercial aircraft should be transferred to robotics. Tesla is an example of the need for regulation. As far as we know there are no published standards against which their Autopilot has been formally validated - and until there are - it cannot be trusted. This is the first in a series of three interviews about the robot economy. Our next guest will be Prof. Alan Manning, from the London School of Economics. Read the previous articles in the European Robotics series here. This series is published on the SPARC website and Robohub. Funding for the series was provided by RockEU – a Coordination and Support Action funded under FP7 by the European Commission, Grant Agreement Number 611247.